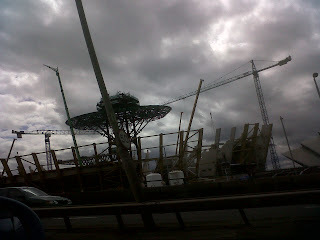 This afternoon, I was driving past the new Hydro Arena which is being constructed near Glasgow's waterfront. A huge ellipsoidal steel lattice was being lowered into place by a squad of tower cranes. I think this will form the centre section of the roof, rather like the cornerstone in an arch. Clearly, this operation, which must be fraught with dangers and uncertainties, must locate the section in exactly the right position. Well, you just have to look at the picture to realise how difficult a task this must be. One error and the whole arena might collapse 18 months down the line. 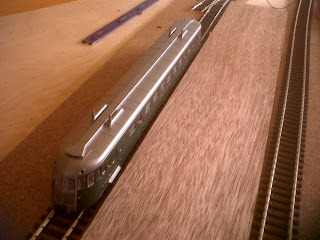 Then I thought about my challenge of positioning a few sets of points on a model railway and, as I say, pulled myself together. 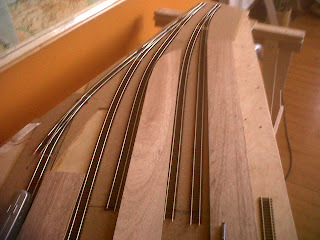 Decided to set aside 3 hours this afternoon for my task and, after taking into account various factors, arrived with a positioning of all the key elements viz points and the cutting to size of the connecting stretches of track between the points. 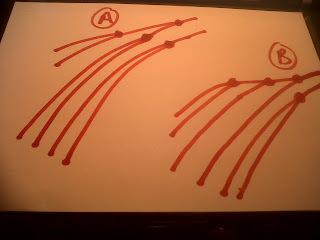 In fact, I made a change from the original plan for the layout from A to B in the diagram below. This was to allow better clearance between long trains pulling into adjacent platforms. 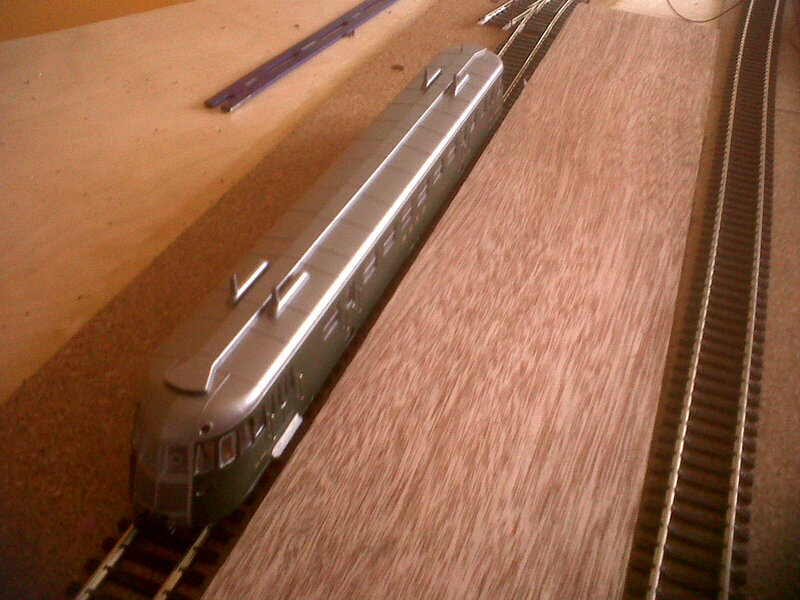 On the subject of clearance, the self-contained autocar which will use the short end platform, significantly overhangs the track and thus presents a platform clearance problem all of its own. 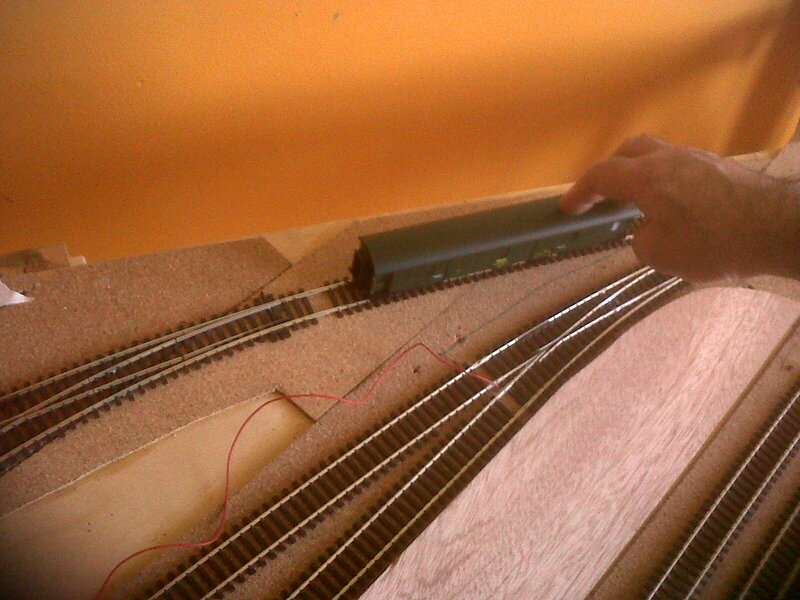 So that had to be taken into account when positioning the track. Also, one had to check that a typical piece of rolling stock would run smoothly along any curves and across any points and not foul any platform edges. Altogether, a much more satisfying day. 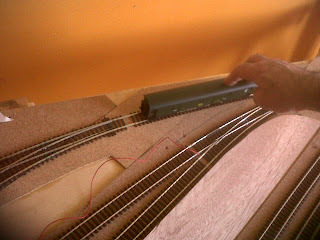 Tomorrow will drill the holes beneath the points ready to install the points motors beneath the baseboard. 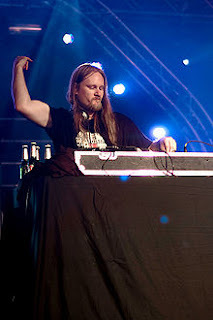 Venetian Snares is the main performing alias of Canadian electronic musician Aaron Funk (born January 11, 1975). Occasionally, I listen to a selection of his tracks that I've got on iTunes. Realised today that they are very, very similar to dubstep, but much more complex musically.